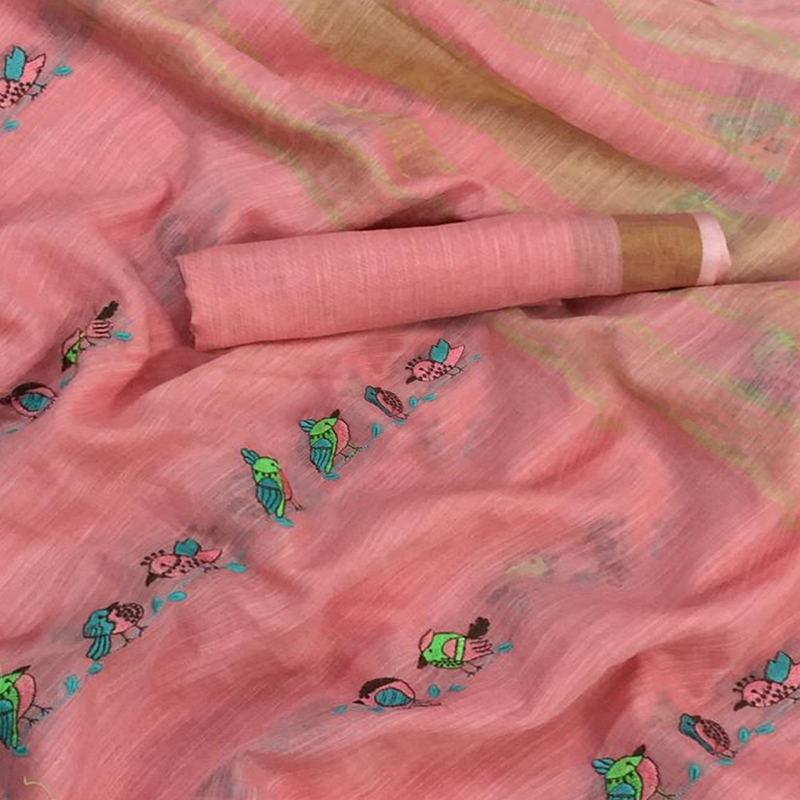 Make other amazed of your ethnic look with this blooming pink colored saree. This saree is made of linen-silk fabric which is highlighted with zari pallu, zari-tassels border and embroidered work. This saree is comfortable to wear and care all day long. Paired with unstitched linen-silk blouse piece, which can be stitched as per your style & requirement. 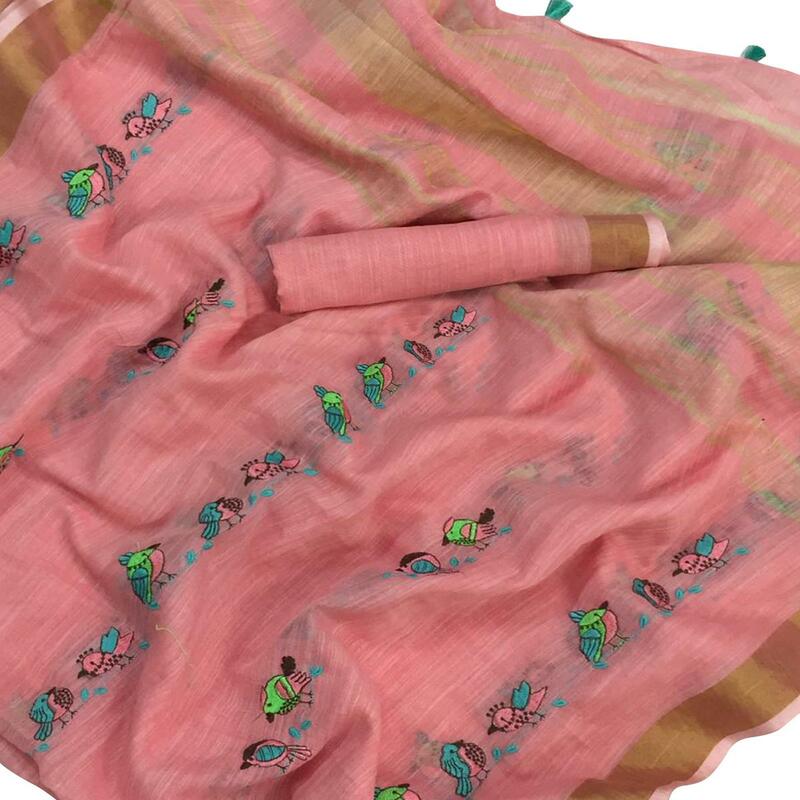 You can wear this saree for festivals, casual outings, office, regular social meets and other homely events. Pair it with traditionally stylish accessories to complete the look. Note:- The actual product may differ slightly in color and design from the one illustrated in the images.